He has four half-centuries against RCB at the Wankhede Stadium. The Royal Challengers Bangalore (RCB) arrested its slump in their previous match against the Kings XI Punjab (KXIP) at the PCA Stadium in Mohali. Virat Kohli and Co won by eight runs, thereby also ending KXIP’s seven-match winning streak at their home ground. Their former player Chris Gayle scored a 99*, but the likes of AB de Villiers and Kohli came to the party in the run chase. After six consecutive defeats, RCB looked down and out and it goes without saying that the franchise was going through a horror run. RCB were running out of gas, but the last victory would give them some confidence. 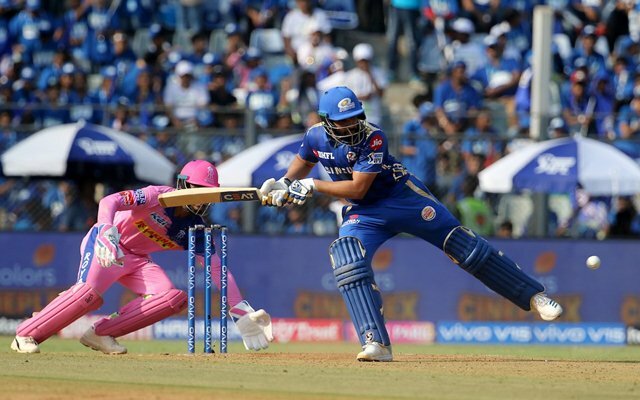 Their next match is against the Mumbai Indians (MI) at the Wankhede Stadium in Mumbai, where they lost five out of their last six encounters against the home team. Last time around when these two teams met, the no-ball controversy off Lasith Malinga came to the fore. The Challengers fell short by five runs. Ahead of their next away-match, RCB need to be wary of one cricketer and that’s Rohit Sharma, the MI skipper, who is slowly but surely getting his touch back. 1773 runs from 63 Twenty20 innings at Wankhede at an average of 34.09 with 13 fifties. 4 Player of the Match awards in those 4 games where he scored 50s. He costs 10 credits in the batsmen category and is picked by 73% of teams. Though he hasn’t quite been in full, he can be made either the captain or the vice-captain as he has scored big in the last few innings.